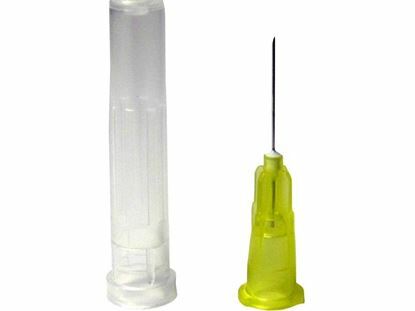 Needle Ιcορlus 30G 0.6x25mm Sterile, Stainless Steel Aisi 304, With Triple Bevelling, Non-Toxic And Non Pyrogenic. Individual Blister Pack. Disposable. Syringes Ιcορlus 1Cc28G Τubercοlinα needle 28G X1/2 0,36X12Mm Non-Toxic And Non Pyrogenic, Transparent Polypropylene, Needle Of Aisi 304 Stainless Stell With Triple Bevelling, Sterile, Disposable, Individual Blister Pack. Scalp vein Icoplus Fly 19g sterile, stainless steel AISI 304, with triple bevelling, non-toxic and non pyrogenic. Individual blister pack. Scalp vein Icoplus Fly 21g sterile, stainless steel AISI 304, with triple bevelling, non-toxic and non pyrogenic. Individual blister pack. Scalp vein Icoplus Fly 23g sterile, stainless steel AISI 304, with triple bevelling, non-toxic and non pyrogenic. Individual blister pack.